Introducing a new concept of D-I-Y kaisendon. 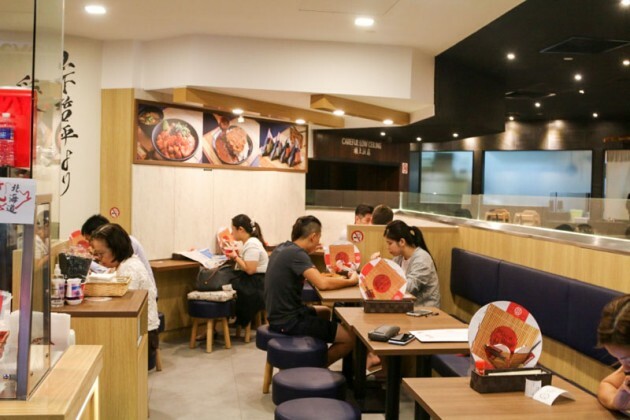 Teppei Syokudo, an expansion of the popular Teppei Restaurant, has introduced a brand-new approach to savouring its trademarked kaisen don. 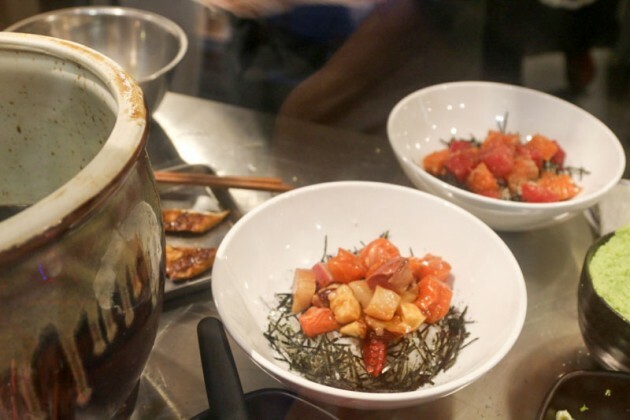 Termed “DIY Kaisen Don”, it offers Teppei’s diners the freedom to customise their very own sashimi rice bowl. 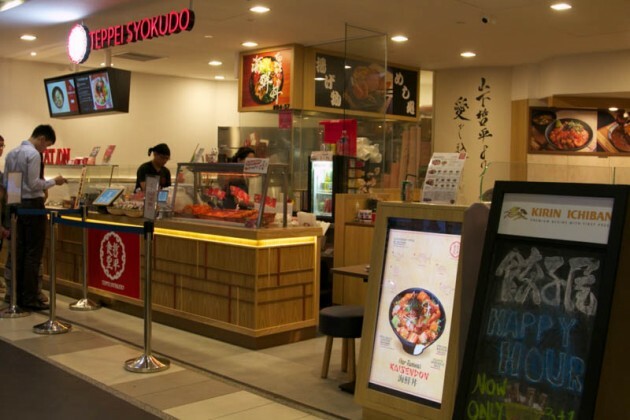 This innovation was brought in with the launch of Teppei Syokudo’s fifth outlet settled in the heart of ION Food Hall, the fourth lowest basement level of ION Orchard. 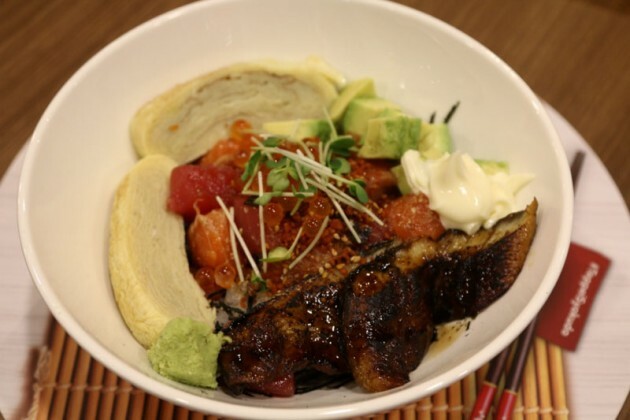 At this point of review, the option of having the DIY Kaisen Don is exclusive to this new branch. 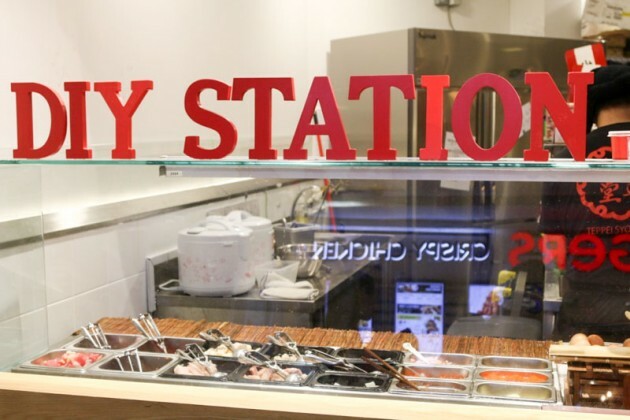 Prior to the opening of this outlet, Teppei’s brand has been well-reputed for its concept of kiosk/casual dine-in. This infant branch also adopts the style of a more casual, takeaway setting. 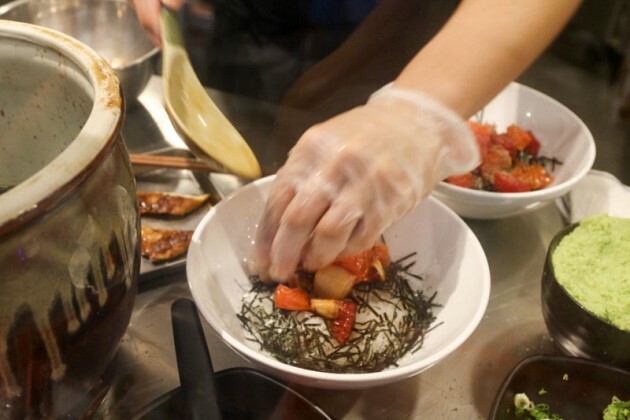 Here at ION Orchard, patrons can opt to have their rice bowls on-the-go, or choose a spot to nestle oneself within the comforts of this cosy restaurant parlour. 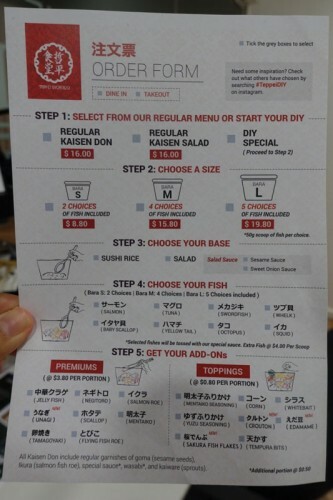 Placing orders for the DIY Kaisen Don simply requires the patron to fill up an “Order Form”, which spells out the steps to building your own kaisen don. Having marked down your selections for the key ingredients, the next stage of your dining experience is interesting and entertaining. 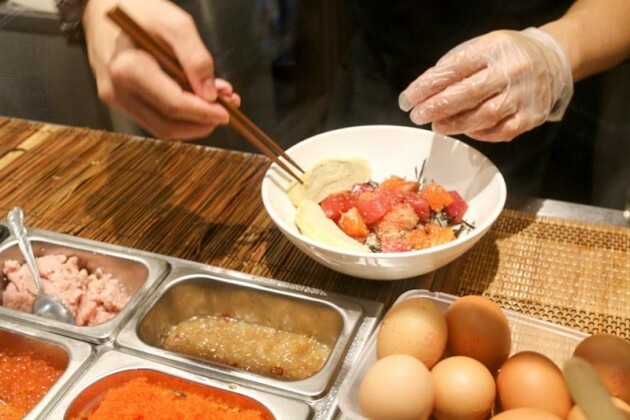 You’ll get to watch the chefs ‘build’ your personalised kaisen don. 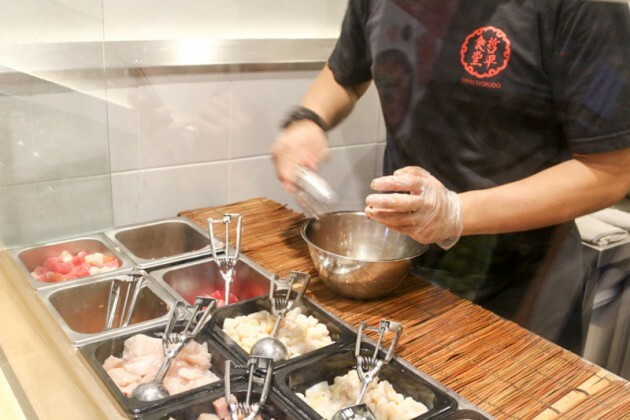 The chef will first scoop into a mixing bowl, the cubes of sashimi according to your selection of fish and raw meats. The options available for fish include salmon, tuna, swordfish and yellowtail. At the same time, choices for raw meats include whelk, baby scallop, octopus and squid. Watch as your choice of fish and raw meats are being mixed into a delectable sashimi bowl. The chefs are skilful indeed. I very much love the open-kitchen concept here at this restaurant. An important point to highlight at this step is the use of Teppei Syokudo’s specialty house sauce in marinating and mixing the sashimi. 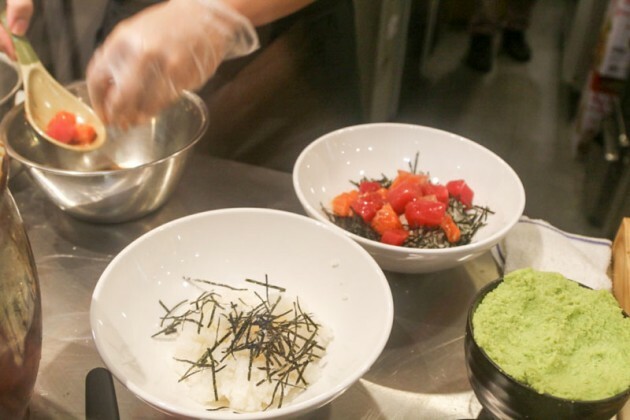 As the sashimi ingredients are being mixed, another chef prepares the sushi rice that will form the base of your kaisen don. The base of this dish is made of high-quality Japanese short-grain rice and Teppei Syokudo flavours the base with the use of seaweed and onions. The next step is placing the sashimi mix over the sushi rice base. The chef was really meticulous in doing his work, as I watched him painstakingly arrange the sashimi ingredients to form an aesthetic display. The choice of unagi is a new flavour introduced by Teppei Syokudo for its kaisen dons. Should you happen to opt for it to go with your sashimi rice bowl, you’ll have the joy of watching and having it pan-seared on the spot. 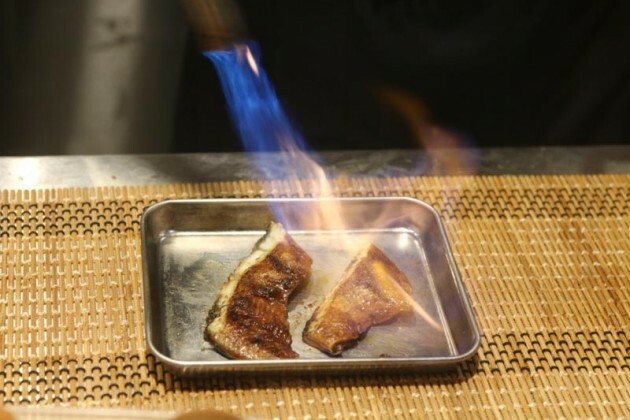 The result is a caramelised and crispy slice of this signature ingredient, which works wonders in providing rich texture and flavour to Japanese kaisen dons and chirashis. A flavourful fish that pairs splendidly with a bed of rice. After which, the chef proceeds to include the ‘Add-On’ items which you have indicated on the Order Form. I was very much captivated by the scene before my eyes, as I watched my bowl of Kaisen don being built close to finish. With the accompaniment of these rich and flavourful toppings, my bowl of self-desgined kaisen don looks even more glorious. 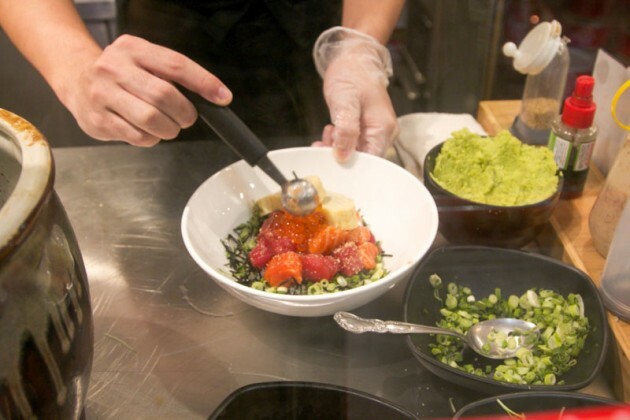 Finishing up the assembly of the rice bowl involves the chef placing a dollop of wasabi by the side. By doing so, diners can decide upon eating, the amount of wasabi they wish to mix into their rice. Note that it costs $0.50 for any additional topping of wasabi. Same rule applies for the specialty marinade sauce. Topping it off, Teppei has introduced fresh avocado cubes as one of the available flavours for garnishing your DIY Kaisen don. The rice was fragrant, emitting a tinge of savoury saltiness from the brilliant work of the specialty house sauce. The latter had also provided a luscious lick-off as I savoured the thick and aromatic slice of unagi. I like it that Teppei Syokudo cubes their fish, so that it doesn’t absorb too much of the sauce. Thus preventing it from becoming overly salty in terms of taste. On the whole, Teppei Syokudo was a wonderful dining experience ranging from the service provided to the quality of the dish conjured. Come try out this new and innovative dining experience. For our first 100 readers, simply quote “SethluiciousTeppeiDIY” upon placing your order at Teppei Syokudo and you will get to enjoy 15% off your total bill.